Israel's Public Security Minister pushes back on Eurovision's 'disgraceful' demands on Israel as conditions for hosting music contest. Public Security Minister Gilad Erdan (Likud) blasted the European Broadcasting Union over its list of demands on Israel for next year’s Eurovision Song Contest, tentatively set to be held in Israel. “This is a complete disgrace,” Erdan told Army Radio Tuesday morning. Erdan said that while it was acceptable to require that Israel not to interfere with the contest for political reasons, Israel must be able to screen out potential security threats and retain the ability to bar anti-Israel activists from entering the country. 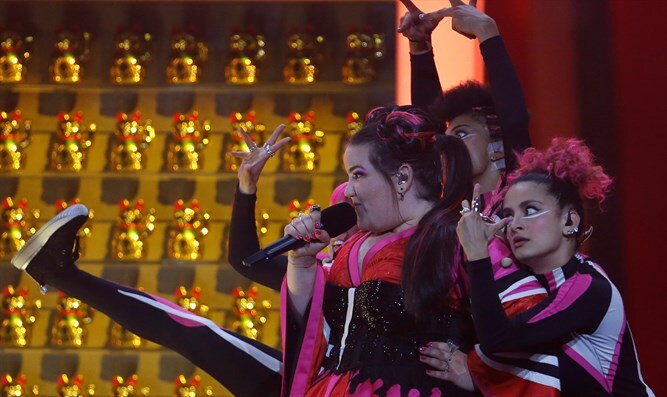 On Monday, it was revealed that organizers of the annual song contest had sent a letter to Prime Minister Binyamin Netanyahu, informing him of their conditions for the Eurovision contest to be held in Israel.